These pie-scored rounds are above and beyond in quality with a unique stone ground texture that intrigues more and more with each bite. The underlying chocolate is almost a bit fruity, but is balanced by the "true grit" of the lightly coarse grind that dissolves in your mouth like sugar. I find them wonderfully addictive and worth stocking up on when sales hit. Updated! After over a decade of trialing thousands of new products for Go Dairy Free, I can attest that many are quite good, but few make me want to run to the store. Taza Chocolate is in that elite group. 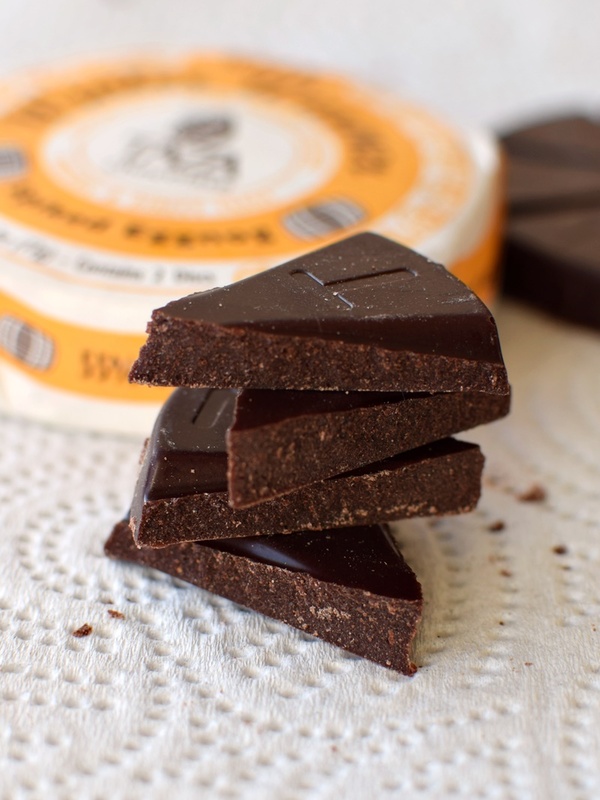 In fact, I’m updating this review because I spotted Taza Chocolate on sale. I couldn’t resist picking up a couple new flavors and certainly wasn’t disappointed. 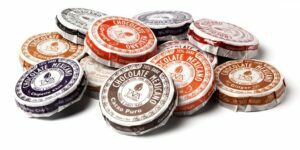 Unlike other chocolate on the market, Taza Chocolate Mexicano Discs are stone ground with Oaxacan stone mills rather than steel refiners. The company’s technique uses minimal processing to keep the cacao “raw” and to protect its pure goodness. The result is chocolate with simple ingredients, but flavors that are quite complex. As well as having a consistency that has “true grit”, as they say. Though I’ve never been a huge fruit with chocolate fan, I find the fruitiness in this Taza Chocolate incredibly addictive. The bits of nuttiness are complimentary while the salt is gentle rather than a punch in the face like some salted chocolates. It just pumps up the flavor a notch. At first, the fruity undertones of the chocolate emerge and almost overpower. But it melts away into a gritty, warm vanilla that dances with the bold cacao and lingers as a wonderful aftertaste. This was my most recent seasonal splurge, and is the one shown here. It’s the sweetest of the discs that I’ve tried with a definite eggnog meets chocolate flavor. The rum extract is a great way to give it that edge without adding alcohol and the spices are ever-present. Particularly in the aftertaste. It has many similarities with the Salted Almond but is a touch smoother and a less sweet, but still without bitterness. Of course, it has a good dose of spice and heat that really sneaks up on you! Supposedly Taza Chocolate is ideal for making hot chocolate, too, but not a single wedge of these discs has yet to make it into steaming hot water or almond milk in my home. I eat them all as is, one delicious nibble at a time. 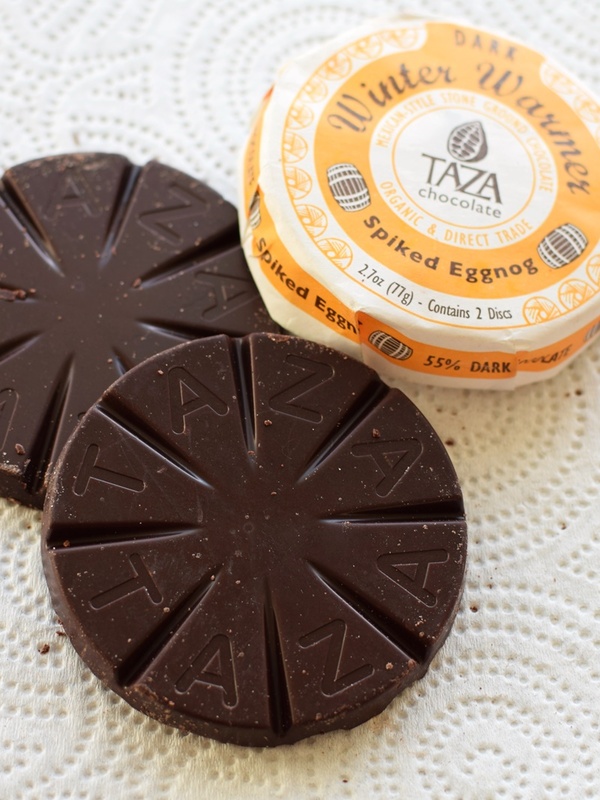 Certifications: Taza Chocolate Mexican Discs are Certified Organic, Certified Gluten Free, Certified Kosher Pareve, Direct Trade Certified, and Non-GMO Verified. 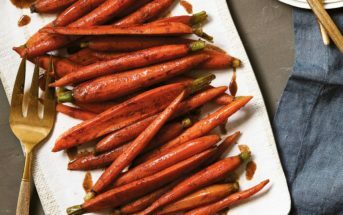 Dietary Notes: By ingredients, Taza Chocolate is dairy-free / non-dairy, egg-free, gluten-free, grain-free, peanut-free, soy-free, vegan / plant-based, and vegetarian. Select varieties are made without nuts. Nonetheless, check with the company on their manufacturing processes for all varieties if potential allergen cross-contamination is an issue for you. Processes and labeling are subject to change at any time for any company / product. 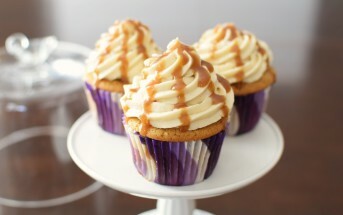 For More Product Information: Visit the Taza Chocolate at www.tazachocolate.com. I’m intrigued … would definitely like to give these discs a try! We have been eating and loving this chocolate for several years, ever since a friend brought some back from a trip to Massachusetts. We are so grateful that it is available here in Berkeley and that it is kosher and dairy free. We love the intense flavor and the rough texture. Thank you for sharing your own review Ruchuma – so helpful! I discovered this stuff in the US a couple of weeks ago and love it. Now that I am back in the UK I am trying to see whether there is a local supplier because when I returned and ate some Swiss chocolate here, it tasted so waxy in comparison, and I miss the Taza! It is amazing, isn’t it! I bet if you email them, they can help connect you with a local supplier if there is one. Otherwise, some of the online U.S. stores might ship to the UK! Agreed Kelly, it has a rustic quality that is quite addicting! Is this chocolate Kosher? Can it be melted for use with molds? I’m not sure if it is certified kosher, but by ingredients it is parve. This is more of a raw chocolate – I’m sure it could be melted, but you might want to look for standard dairy-free chocolate for molds. See our chocolate reviews in product reviews for options. I’m OBSESSED with this chocolate, but I was wondering the same thing: Is this as undeniably amazing as I think it is, or is it just appealing to my particular taste? I wouldn’t call myself a chocolate connoisseur; I just have a weakness for dark chocolate and have sampled more brands than I should. Thus far, Taza is one of my favorites.